ILS NOVA is a joint program of Innovative Learning Systems (ILS) and TechMission to provide an integrated adult basic education, GED and employment program for the homeless to over 200 learning centers in 38 states across America and Canada. The ILS NOVA system is used by skidrow rescue missions, homeless shelters, rehabilitation centers, churches, probational facilities, community centers, and home schooling support groups. Course content delivered online and in workbooks as an alternative to lectures. Emphasis on mastery of skills in reading, writing, learning, and math. Program prepares graduates to get their GED. 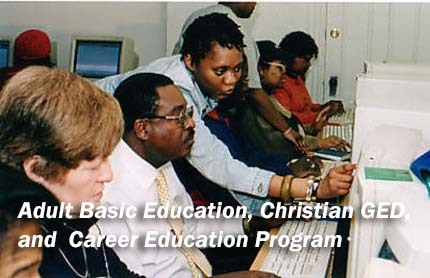 Program contains a strong career education component to prepare graduates for future employment. © 1991-2019 Innovative Learning Systems, Inc. All Rights Reserved. Innovative Learning Systems and Nova Program are Registered Trademarks of Innovative Learning Systems, Inc.